Why is it important to have a Fixed Term Contract of Employment Template? As an employer you are obliged to at the very minimum issue a basic statement of terms and conditions to all of your employees within 8 weeks of them starting work with you – the statement of terms and conditions provides you with some protection, however a full contract of employment will ensure you are minimising risks of unwanted disputes that cost your business (and you) time and money. The majority of small businesses are also not aware of what is or is not legally binding, for example, contractual employment terms don’t have to be written in the contract for them to be legally binding. A verbal offer can be made and it is still legally binding even though you haven’t confirmed it in writing. 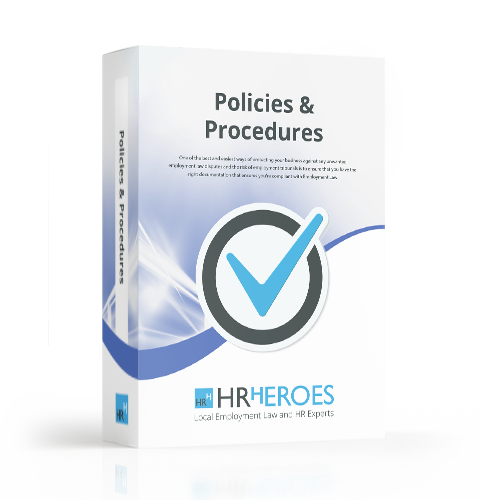 HR Heroes Fixed Term Contract of Employment is easy to use and will provide you with everything you need to protect you and your business when hiring a fixed term employee.